"Behold, thou art fair, my Beloved." What do you see when you gaze into a beauty such as this? I see the face of my Lord Jesus. My Beloved. I am so thankful that He has given me the capacity to see and appreciate beauty. Those are beautiful. I am waiting for mine to finally bloom. This will be the first year, it's been two years since I have planted them. So beautiful photo and photo work! Such beauty we have all around us. Your words and photo say it perfectly! Makes me so happy to get to visit all Floral Love participants. Such an inspiration:) awesome words from God. 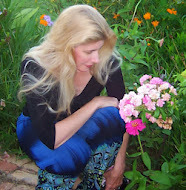 So beautiful June... thank you so much for stopping by my blog. Gorgeous shots. Hope you'd find time to visit my Ixora.